The Illinois Family Law statutes have been overhauled. The Illinois Marriage and Dissolution of Marriage Act (IMDMA) has governed the way we have dealt with divorce, maintenance, custody and visitation throughout the State for the past 40 years. Since its original enactment, the IMDMA has undergone revisions in some areas but has generally remained the same. However, during the spring of 2015, the Illinois State Legislature passed into law vast and sweeping amendments that took effect on January 1, 2016. These changes have hugely impacted how our judicial system handles divorce and custody cases. Whether you are contemplating this step or the legal process has already begun, you may have questions and concerns about your rights. The most frequently asked questions include concerns about parental rights to children, maintenance or spousal support (formerly known as alimony), child support, pension and retirement accounts, rights to real and personal property, and how long will the case take. Dealing with divorce can be emotional. In addition to the feelings accompanying the end of the relationship, a person may feel intimidated and overwhelmed with the legal process. It is important to have an attorney that can help you navigate the legal process compassionately and work with you to achieve the most favorable results possible. Many clients find relief and confidence after discussing their case with Danelle and feel better after learning about their legal rights and options. Depending on the circumstances, most cases are able to be settled in an amicable manner. Settlement depends upon the objectives of the parties. Danelle is experienced in handling all divorce and divorce-related issues, including maintenance, property distribution, dissipation of assets, and tax issues raised by a divorce. She also provides representation in all types of post-divorce actions, such as modification of child support and maintenance actions, enforcement of child support and custody orders, as well as contempt and failure to pay actions. How do I start a divorce? I have been served with divorce papers what do I do next? How long does the process take? Do I need my own lawyer or can my spouse’s lawyer handle everything for the both of us? How much will this cost me? How is it decided who gets custody of the children? Do I have to go to trial? Do I have to come to every court date? Can things be done by agreement? What if my spouse does not cooperate? How is the property and debt distributed? What are my legal rights? While there are some commonalities among cases, each client’s case has it own unique facts that help shape possible outcomes. Whether you are considering the option of divorce or a legal separation, or if your spouse has started the process, Danelle can consult with you about your concerns and explain your legal options. Illinois family law provides that in some cases, one spouse should pay financial support to the other spouse depending on the financial circumstances of the parties and duration of the marriage. The spouse earning a greater income than the other spouse, or if the other spouse has no income, may be ordered by the court to financially support the other spouse. The court considers many factors when determining whether a maintenance award is appropriate including the income of both spouses, property of both spouses, expenses of both spouses; current and future earning potential of both spouses, duration of the marriage, health of both spouses, and standard of living enjoyed during the marriage. Under the new Illinois Marriage and Dissolution of Marriage Act, the court has been given “guidelines” which have made calculating what a maintenance award could look like much more formulaic. 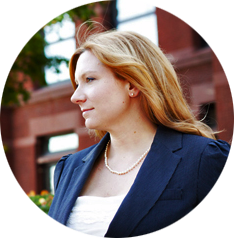 Contact Attorney Danelle Wozniak for a confidential divorce consultation handled in a compassionate and professional manner.